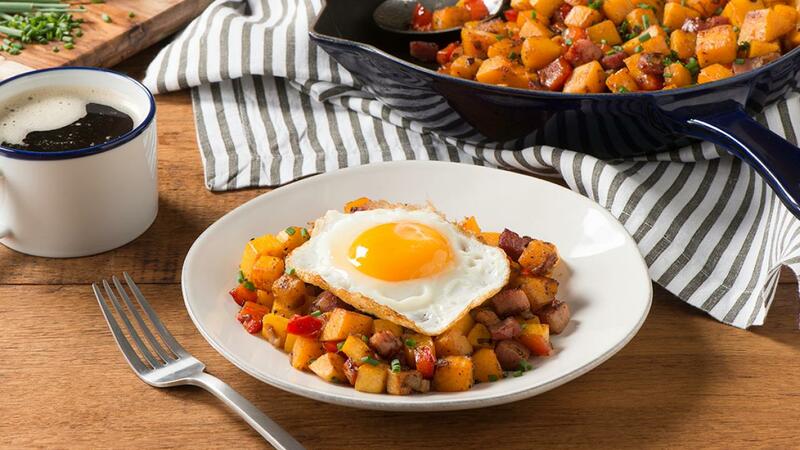 This tasty hash with autumn flavours is perfect for a cosy brunch with family and friends. 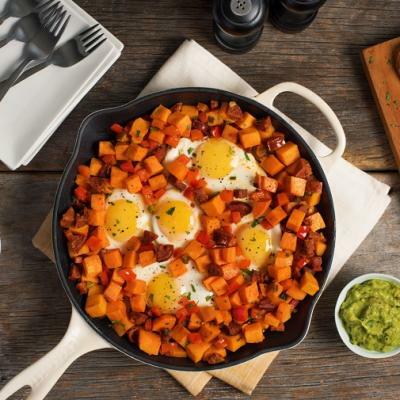 Heat oil in large skillet set over medium heat; cook shallots, pancetta, red pepper, rosemary and hot pepper flakes for 3 to 5 minutes or until vegetables start to soften and pancetta starts to brown. Stir in butternut squash, salt and pepper. Cook, stirring occasionally, for 5 to 7 minutes or until squash starts to brown. Stir in broth, butter, vinegar and honey. Cover; cook for 6 to 8 minutes or until liquid is absorbed and squash is tender. Sprinkle with Parmesan and chives. 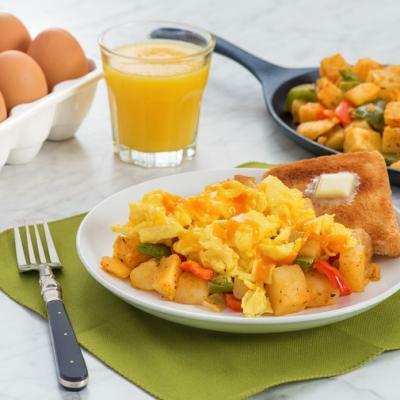 Meanwhile, melt butter in nonstick skillet set over medium heat; break eggs into skillet. Season with salt and pepper. Cover and cook for 2 to 3 minutes or until eggs whites are just set for sunny-side up or cook until done as desired. Divide hash among 4 plates. 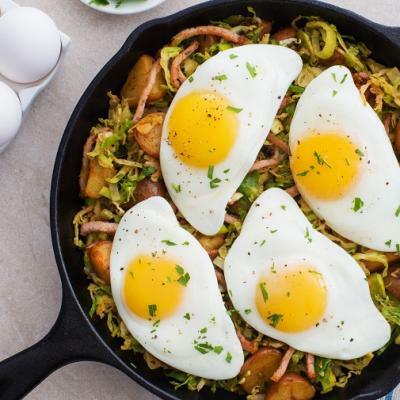 Top each serving with fried egg. Substitute finely crumbled goat cheese or feta cheese for Parmesan cheese if desired. Substitute a pinch of smoked paprika for hot pepper flakes if desired.